Wood is arguably nature’s most elegant material, and it was only a matter of time before it was crafted into a timepiece of similar sensibility. Wooden watches speak of a man who moves with ease and assurance, and isn’t afraid to work with his hands or likewise raise his glass in a toast to the finer things in life. The very definition of eco-friendly, natural wood watches offer certain features that their metal counterparts often fall short of. Wood has a life and personality of its own, and shaping it is the work of no less than artisanal carpentry. 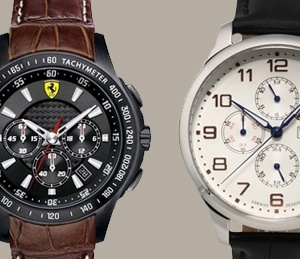 Retaining their own properties from years of environmental and elemental exposure, no two wooden watches are the same–appropriate, since neither are any two men! From sandalwood to maple and teak, there is a wooden watch choice handcrafted and tailored to every man’s taste. With many wood watches boasting additional hypoallergenic qualities, they are as safe and comfortable to wear as they are unforgettably unique. And with the ability to be personalized through engravings, stains, and finishes, you will leave your mark long after you’ve answered an inquiry as to what the hour was. 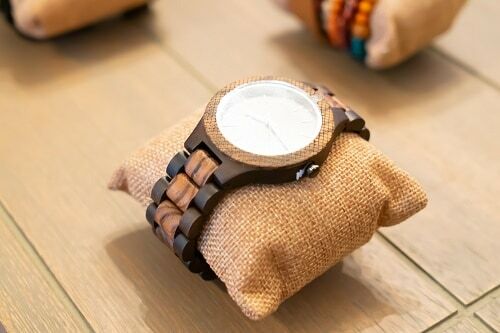 Wooden watches recall both the serene mystery of the Pacific Northwest forest and the robust comfort of the mountains. It is a watch worn by a man of few pretenses but infinite style, and is the perfect gift for a ruggedly poetic soul such as yourself. Some may view watches as instruments of a bygone era, but the wooden watch may just move the indispensable timepiece into a newer, more refined style period. Made in Italy, this AB Aeterno men’s watch is cutting edge in wood technology. It is designed to be comfortable, classy and functional in this high paced convenience oriented era. It is ecofriendly, the perfect addition to any jewelry collection. Discover a men’s wooden watch with all the luxury bells and whistles. Made with wood imported from Africa, this design from Bewell weighs very little and displays the date. A great option for the stylish man. Looking for something sleek and nostalgic? 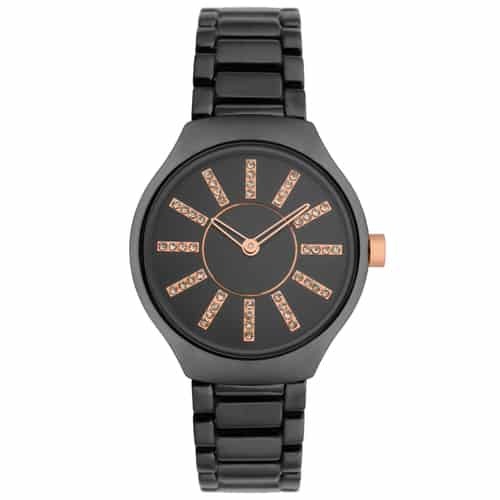 Try this hand crafted, black wooden watch option from Cucol. Still with state of the art features, this piece is sure to impress. Natural in appearance, this watch is sure to make a statement. Stopwatch capability with this fashionable timepiece! Versatile and incredibly durable, this hand crafted gem for men by Jord is made from zebrawood. Truly a high quality exquisite design piece, it will stand the test of time, and make a definite impression. Crafted with sandalwood, the sleek, wooden design from Kerbholz conveys simplicity, but still screams luxury! The dark, rich wood design will offset any ensemble, yet stand out and impress everyone around. Comfort and utility right at the wrist. Sandalwood carved, this Kerbholz men’s timepiece option has a bracelet style band for comfort on the go. The brown band offsets the black face dial effectively. Look smart and stylish with this accessory. Make a big statement with this golden wood watch from Komono. The band is one hundred percent leather. Comfortable and stylish, this watch can be casual or more refined for more formal occasions. Its unique color pallet makes for an eye catching accessory alongside a reliable Japanese quartz movement. This combination of stainless steel and sandalwood is easy and comfortable to wear, and definitely fun to show off to peers! Masterfully carved, this Italian piece from Laimer says it all in comfort and class! It is elegant, yet masculine, and will function for any occasion, casual or classy. This particular sandalwood and stainless steel men’s watch from Laimer is offset with bold black color. It is handcrafted and environmentally friendly! The hands on the face even shine when the light catches them. Whether making a statement in the daytime or needing functionality in the dark, this men’s wood watch will fit the bill. Another sandalwood option from Leafwood that also keeps track of the day of the week and month. 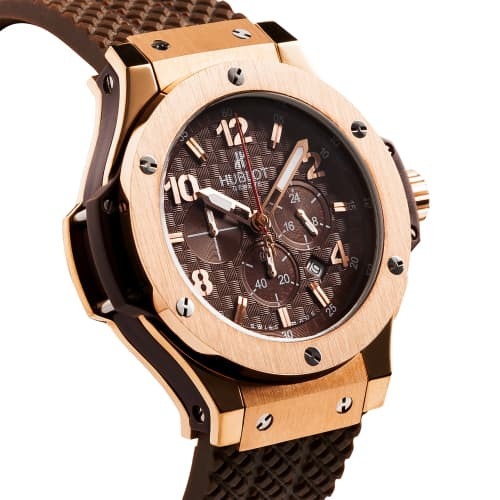 A dark, rich brown, these men’s wood watches make for cutting edge statement pieces. Ecologically friendly and stylish to wear. The multi-purpose functions of this particular piece is a definite asset for any occasion. 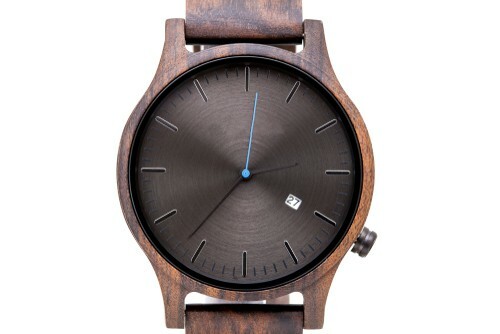 A fun, unique design, this gentlemen’s watch is made from black chanate wood. The face is a square design, with a fun, unique background pattern. It is both comfortable to wear and a conversation piece. Reliable, comfortable, and lightweight, this option will surely be a go to for the man on the go. Advertise one of a kind style with this jaguar themed timepiece for men. The face is made from teak wood and offsets the jungle style of the face background. A jaguar is prominently showcased on the watch face. This watch makes the statement of danger and intrigue with its design. This exquisitely designed wooden wristwatch showcases the added allure of silver in both the face and the beaded wristband! Truly impeccable and polished, the design screams of high fashion and masculine elegance. It is a stunning art piece with a rich design and classy flair. More in the line of sporty styles, this men’s wrist watch is carved from dark wood with black coloring. The sleek and masculine design of the face and band says high class, durability, and functionality. The face contrasts the black band and frame, with a dark wood tone. It functions as a tide display piece, and is ideal for the avid scuba diver or swimmer. A very sporty option for the swimmer, diver, or man on the constant go, this water resistant watch is stylish in appearance and functionality. The band is stained dark wood and stainless steel. The face itself is a piece of artwork, with its unique display of the hour and minute. 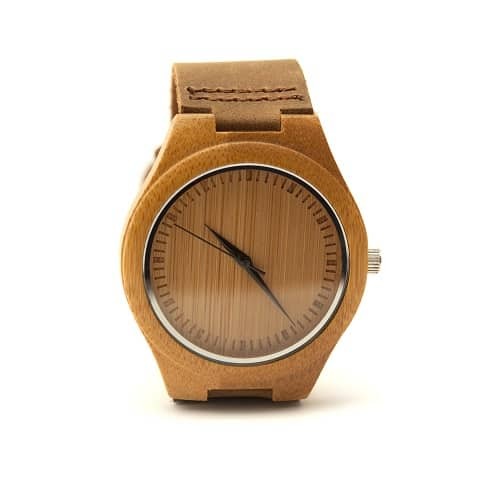 Hand carved with genuine maple wood, this watch has a simple, yet elegant design. The wristband is crafted with tanned leather and completes the polished style. The wood is smooth, with light beige coloring. It makes a delicate yet strong fashion statement. With its unique angles and modern flair, this men’s watch is nothing like the rest. Made from stainless steel and wood, this option is cutting edge in fashion. The rare design qualities of the face itself sells the watch, along with its comfortable leather wristband as a bonus. The stark color contrast in this men’s watch makes the statement. It sports a black bamboo face, framed by medium brown bamboo. The lightweight leather strap is also colored black for a strong, masculine, classy look. It is both fun to wear and fun to show off. Wear this conversation piece is a definite asset to every man’s accessory collection. With almost a nautical persona, this wristwatch is simple in design, but also a definite statement piece. The reclaimed sandalwood is complimented by a red and blue nylon band. It is crafted for comfort and trend, sure to make a chic presentation regardless of where it is worn. Durable but practical, choose this piece as a go to for any occasion. This reclaimed wooden chronograph choice will ensure the wearer in a part of the latest trends. It has a bold face design, with a display subtly its own. One will feel confidently avant-garde. Sharp, geometrical designs cement the unique flair of this option. The multipurpose function merely adds to its appeal. Make the daring choice to wear this rare model. This light to medium brown bamboo men’s watch has a rich leather strap and beautifully simple design. It will outlast most competitors, but does not give an over the top flair that just does not suit every man. The conservative man will find this watch exactly to his taste and will make the impression he is looking for. It is the perfect accessory for the everyday man, or an essential addition to accent one’s more bold style choices. 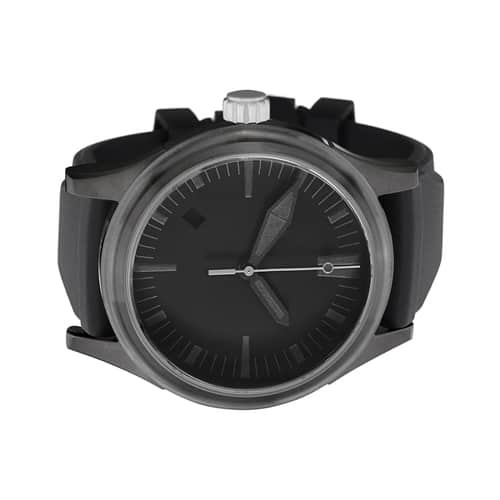 Another dark, black wooden watch option, this reinforces the classic design of the man’s watch. However, at the same time, is individual in every timepiece made. It is carved from authentic ebony wood and truly a gentleman’s appropriate accessory. Its durability and functionality will leave a lasting impression. Crafted from walnut wood, this watch offsets its wooden face with rose gold stainless steel, making it both exquisite and durable. Its beauty is found in its simplicity. While it is minimal in its ostentation, the clean lines and beautiful design make it a stand out among other watches. It is both lavish and versatile in appearance. A stand out in sandalwood timepiece design, this option makes the bold choice of a white band and face with red wood accents. Can be worn in a variety of settings and for many occasions. It is both comfortable and functional, simple and bold. Will definitely impress one’s peers and be noticed by all. Stand out in the crowd with this daring choice speaks for itself. This ebony wood option is a carved masculine masterpiece. The wristband is made of leather, and provides comfort and utility. It can be worn for any event or occasion, whether daily or that special night out. It is versatile and comfortable in design and functionality. A beautiful polished blackwood style watch is sure to make an impression wherever it is worn. Its smooth texture and durability adds assurance and comfort. 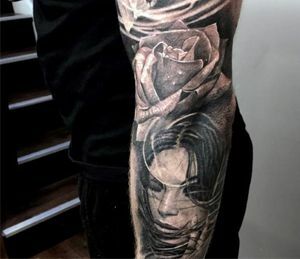 The face is a deep black, with stark white time keeping features. It is a bold style statement with both class and luxury. A walnut gem, this is a sharp looking option for any man. 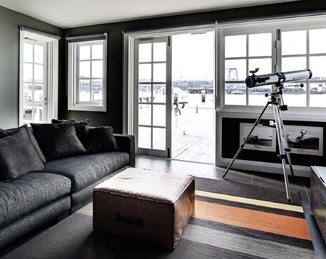 Different tones of medium to dark wood speak of class, elegance, machismo, and fashion. Do not be dissuaded, however, this accessory will look classy and appropriate even in the most casual of situations. Versatility is an asset in this one. 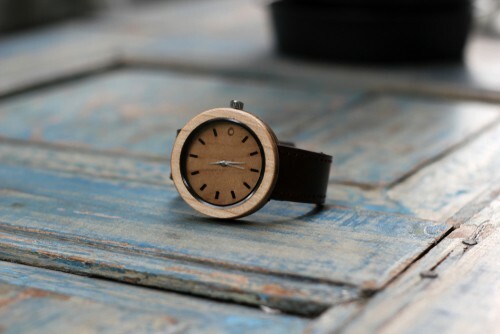 A medium toned wooden watch option, this piece is carved from walnut. 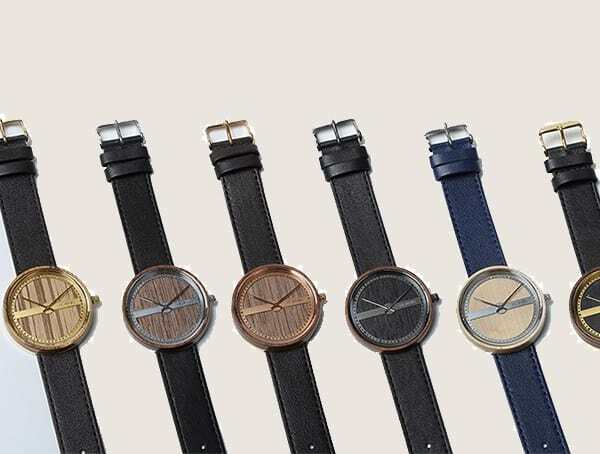 The solid color pallet presents a different take on the wooden style watch. It is monochromatic, but in no way less pleasing to the eye. It is attractive and durable and can be a part of any ensemble picks. This mahogany colored watch is one with multiple purposes. Not only does it track the days, but also simultaneously displays military time. The dark color looks rich and will class up or compliment any outfit. It is ideal for any occasion and a much needed addition to any gentleman’s collection. A wooden watch in a category all its own, this accessory makes a memorable impression. Carved from African blackwood, not only is the carved band and face beautiful in its own right, the face itself sports a trendy black and white design with an artistic display of numbers. When looking for that statement piece, this should be a definite contender. A simple but refined option, this watch is chocolate in color and undeniably comfortable. The rich woodgrain is offset by the black background of the face, which is adorned with white features and hands. It is artfully created and designed to be worn in any setting. 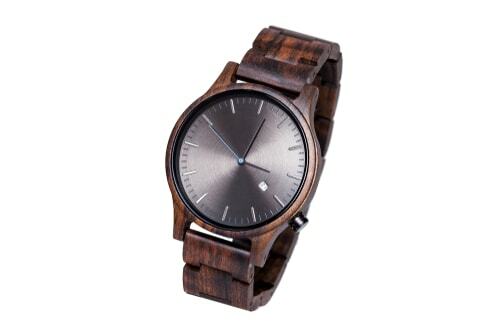 This is an attractive light woodgrain watch option for men. The face is carved from genuine wood with black detailing. The band is made from soft cow leather that is easily adjustable with its stainless steel buckle. It is a manly option for any occasion and can be worn with confidence.